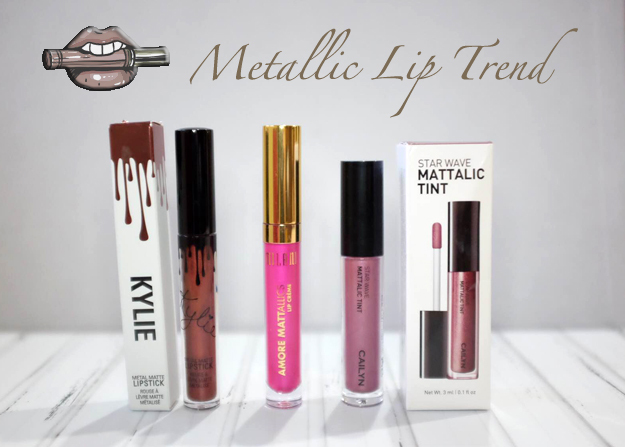 Metallic lips are all over my media social making me itchy to try this trend. Despite not being very adventurous in terms of make up, I decided to try 3 fun colors that I don't have in my lip collection. 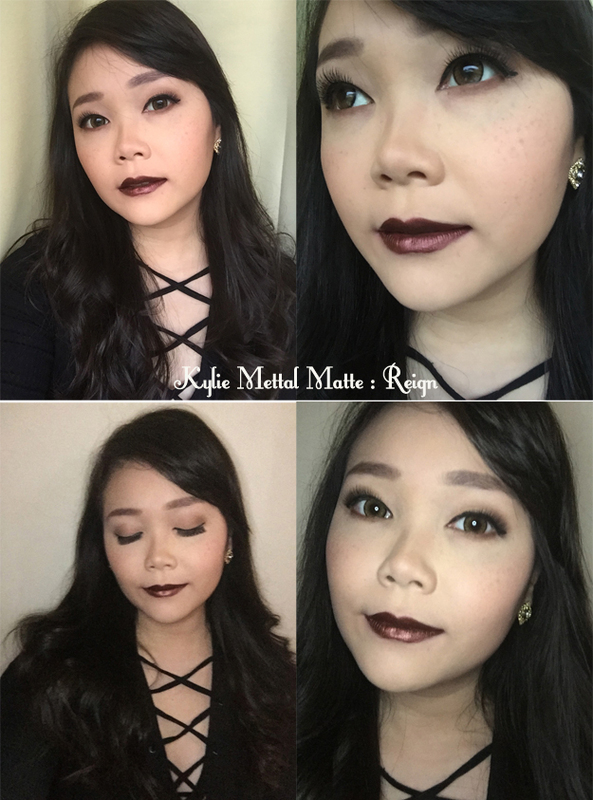 The first one is the one that started it all, Kylie Matte Metal Lipstick in Reign. 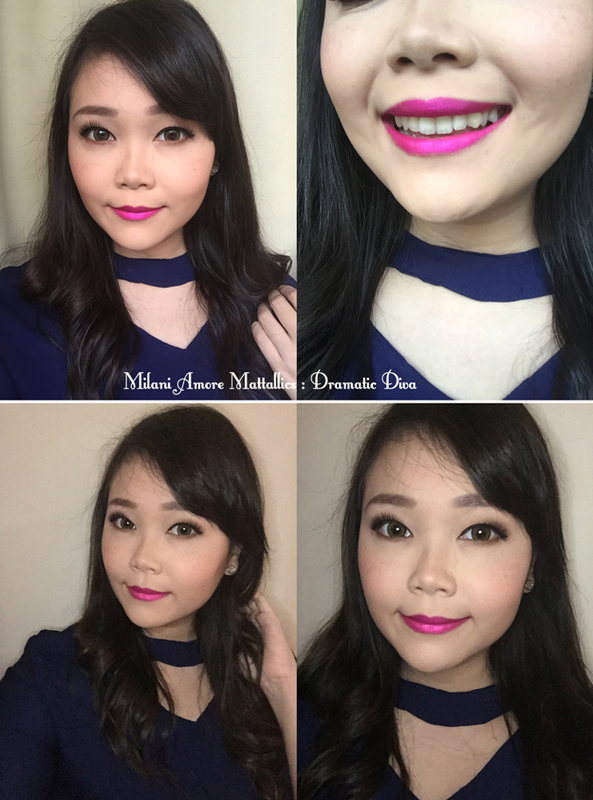 Second is Milani Amore Mattalics Lip Creme in Dramatic Diva. 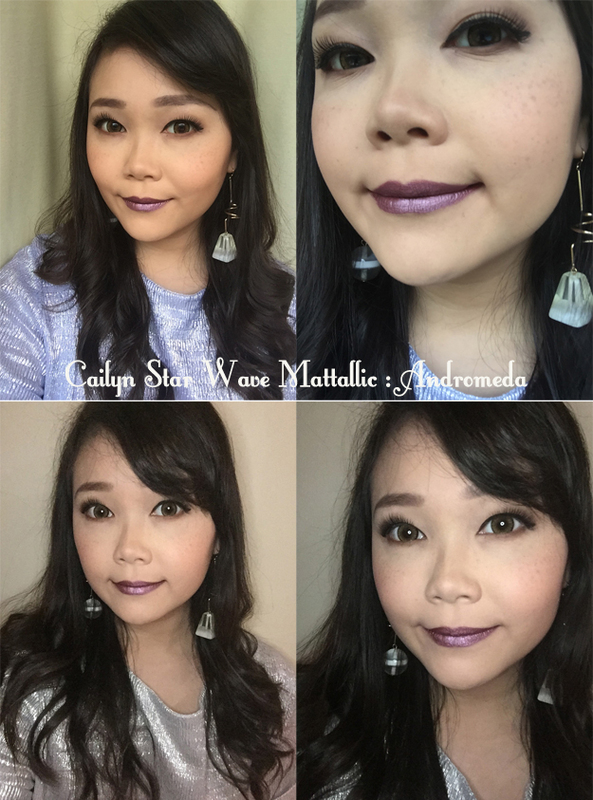 And the third is Cailyn Star Wave Mattalic Lip Tint in Andromeda. - has good pigmentation with full coverage after one or two layers. I had high hopes for this one since this line created all that hype about metallic lips and it did not disappoint! This one is the easiest to apply from all three and you can definitely see the metal effect. I haven't worn it more than 15 minutes so I'm not sure about feathering. I must say, I am very much impressed with the pigmentation. I mean, just how gorgeous this barbie pink color is? It's the least metal from all three but I feel like that's what makes this one is the most wearable. It's more like a sateen finish. And I love the fact that it's completely kiss proof! Again, I always love lipstick that is kiss proof. Maybe it's the color but this one is my least favorite. Perhaps it will look better with a more prominent blush or a heavy eye make up. I do think it looks really cool with my silver top. I tried really hard to find Colorpop metallic lip line as well but I had no such luck. Maybe it's because Colorpop put the cheapest price tag ($6) that colors run out fast. Anyway, I don't think I will ever wear Andromeda shade out of my house but I am excited to try Reign on my next weekend date. And I will try to take notes on how it will survive from food and drinks. Wishing everyone a productive Monday!